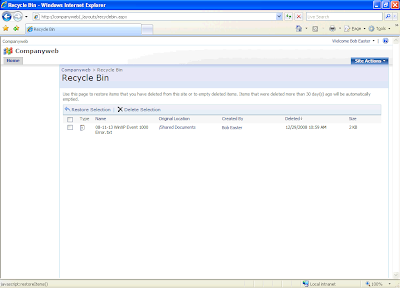 MPECS Inc. Blog: SBS 2008 - Windows SharePoint Services Considerations Plus Not One Recycle Bin, But Two! If you use WSS v3 on SBS2008 Premium you gotta watch the licensing since if user access WSS v3 with an SQL 2008 database then "technically" they require a Premium Cal, is my understanding. 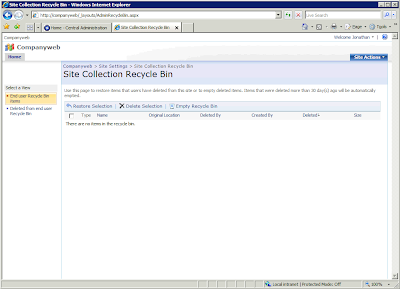 Also, for those wanting to migrate SharePoint to SBS 2008 can I also plug my SharePoint Guide at http://www.wssops.com? No worries. Thanks for the input.